The T410B1004 from the Honeywell T4398 Series is a non-programmable heat thermostat that is ideal for new construction applications. 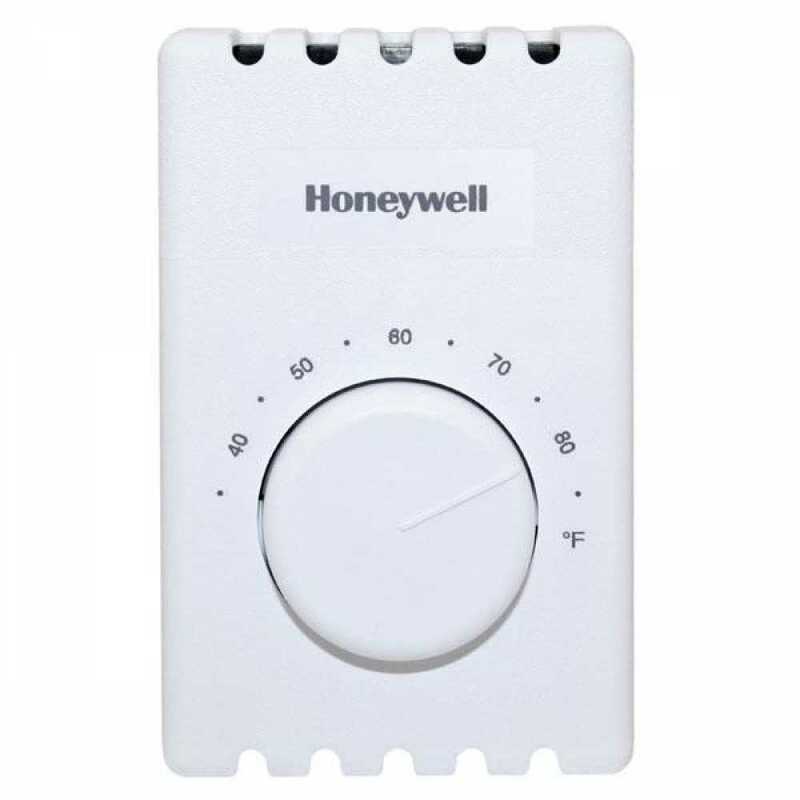 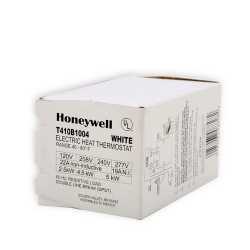 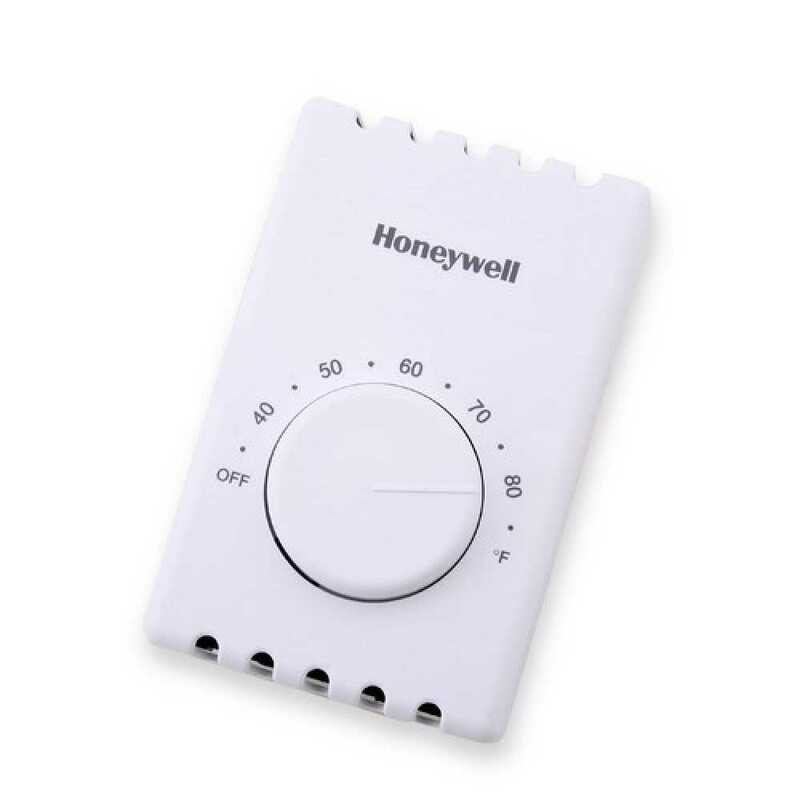 It is used to manage resistive rated electric heating equipment.The T410B1004 is a non-programmable heat thermostat from Honeywell T4398 series is an economy thermostat used for controlling resistive rated electric heating equipment. 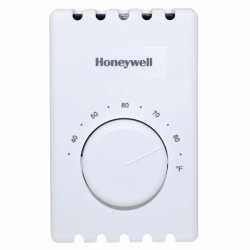 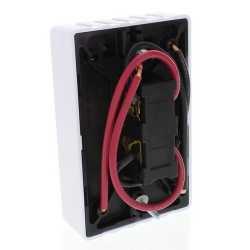 It can replace any two or four wire line voltage electric heating thermostat that is mounted to the wall. It is incredibly easy to install and comes with a heavy-duty plastic mounting base. 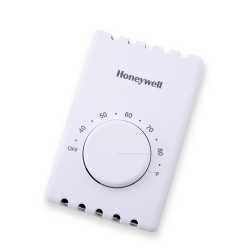 This thermostat works perfect with new construction applications.